We are a leading Manufacturer of hdpe jars for household use from Mumbai, India. 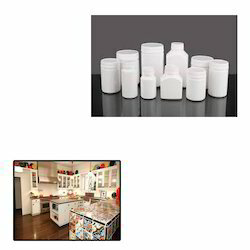 From past many years, we are engaged in offering excellent range of HDPE Jars for Household Use to our clients. Moreover, client can get the offered products from us at very affordable prices. Looking for HDPE Jars for Household Use ?